What Is The Deadliest Of All Vaccines According To The Data? The standard DTP or DPT (diphtheria, pertussis (whooping cough) and tetanus) vaccine is acknowledged to be the deadliest of all vaccines, causing more disability, illness and the highest risks, even exceeding MMR (measles, mumps and rubella). The U.S. Department of Health and Human Services set up the National Vaccine Injury Compensation Program (NVICP) in 1988 to compensate individuals and families of individuals injured by covered childhood vaccines. The VICP itself was adopted in response to a the pertussis portion of the DTP vaccine. 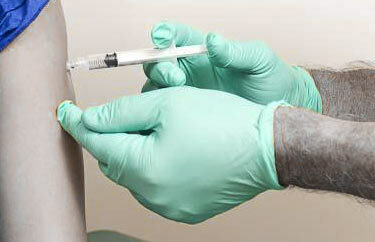 Since 1988, the program has been funded by an excise tax on every purchased dose of a covered vaccine. To win an award, a claimant must show a causal connection; if medical records show a child has one of several listed adverse effects soon after vaccination. The burden of proof is the civil-law preponderance-of-the-evidence standard, in other words a showing that causation was more likely than not. Are Polio and Whooping Cough Caused By Pesticides? Vaccine advocates love to point out that the recent trend in not vaccinating is responsible for causing outbreaks of deadly diseases like polio and whooping cough (pertussis). But could there be something else at play? Like pesticides? Compelling evidence seems to suggest that there is a correlation between the spraying of pesticides and the outbreak of diseases such as polio and pertussis. Whooping cough (pertussis) has reached epidemic levels in the U.S. — the highest in five decades. Considering a majority of those who contract the disease are vaccinated, the absurdity of the call for increased pertussis vaccinations by the Centers for Disease Control and Prevention (CDC) is yet another example of our broken medical system. Even more disturbing, scientists now suspect that vaccines are actually causing this upsurge in whooping cough — contributing to mutations of the original bacterium into more virulent forms. The CDC and NIH keep pushing the pertussis vaccine, in spite of info that it’s causing the new whooping cough epidemic that is 10 times more deadly than the old whooping cough. 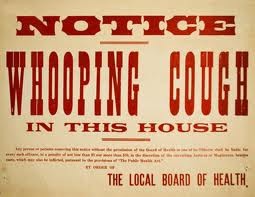 The Centers for Disease Control (CDC) and the National Institutes of Health (NIH) would prefer that you remain unaware of a couple of highly significant facts about the whooping cough resurgence. It is most likely caused by the pertussis vaccine andit’s ten times more deadly than the original variety. To top it all off, they are blaming the unvaccinated for the new more lethal strain of whooping cough, and they are pushing people ever harder to be vaccinated with the same vaccine that’s almost certainly responsible for it! “Just as ignorance of the law is no sound defense to legal charges brought against you, ignorance of medical fact is ultimately no sound defense for a doctor withholding valid treatment, especially when that information can be easily accessed.”~Thomas Levy, MD, JD, author. The article goes on to hype what are actually predictable pertussis (whooping cough) increases and promote the ineffective pertussis vaccine—basically giving the media their marching orders for this fall’s propaganda campaign, which centers on blaming increases in pertussis on parents who file non-medical exemptions for their kids, which is pure nonsense.